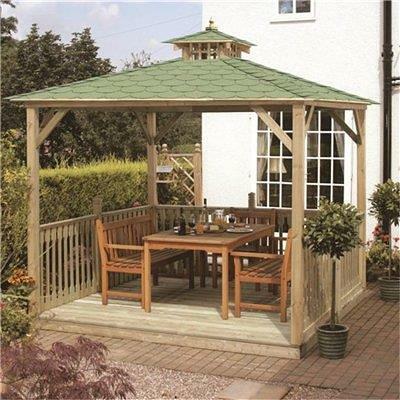 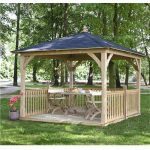 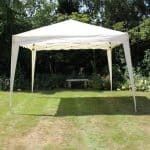 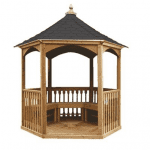 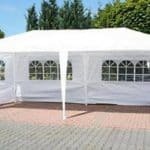 The Lindrick 4 sided Canopy with floor is a stunning Gazebo which will suit many garden areas and is perfect for alfresco dining, having summer drinks in or sneaking outside with your favourite magazine! 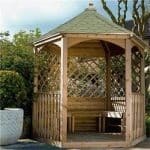 The roof is magnificently tiled and the design is exceptionally intricate, comprised of pressure treated Spruce wood it is low maintenance. 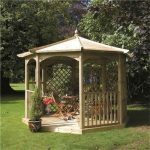 There are plenty of optional extras to choose from too so you can tailor it to your exact needs.